Divya Saindhavadi Taila contains Sandha Namak, Arka, Kali Mirch, Citrakamool, Bhrngaraja, Haldi, Daru Haldi, and Til Taila as a combination of ingredients. 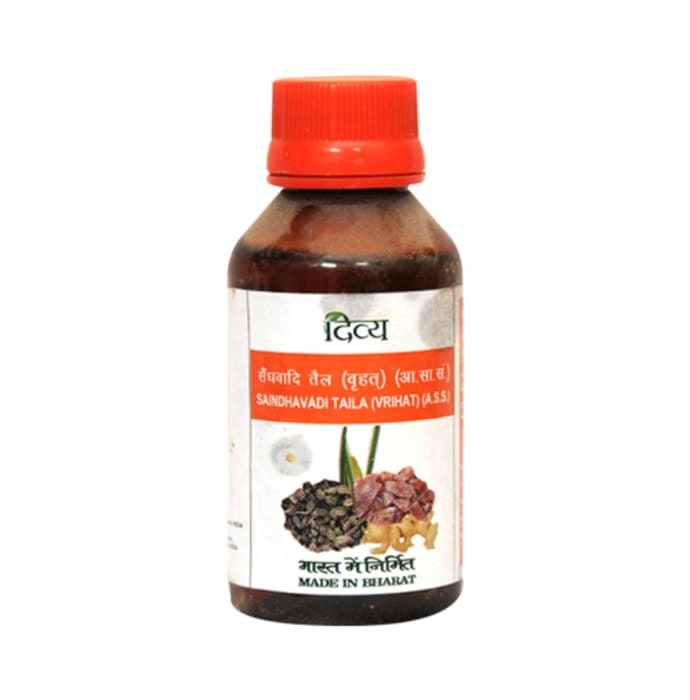 - An excellent Ayurvedic medicinal oil meant for bone-related disorders. - The formulation is prepared from sesame oil base.